Recently Forbes has released the list of “Asia-Pacific Region Top 50 Best Listed Company 2012”. 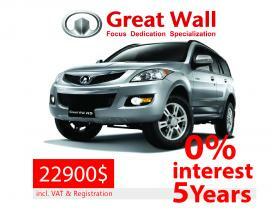 Great Wall Motors (GWM) got listed again following listing one year ago, ranking the 16th up 5 than last year. The Asia-Pacific region covers nearly 30 countries. 1,259 companies in Asia-Pacific region with business revenues or market capital exceeding the least $3 billion US dollars were shortlisted on the basis of their business revenues, profits, capital returns, stock price trends, and development outlook in the appraisal. This list excluded those companies with a heavy debt load, or 50 percent stake held by the government. Once again, Chinese enterprises dominated the list, with 23 mainland companies listed. Under the background of the auto market recession, two mainland automakers (GWM and Geely) still managed to get listed. Among them, GWM ranked the 4th amongst consumer durables industry companies with a market value of $7 billion US dollars and annual sales of $4.6 billion US dollars, Tata Motors of India was also enrolled in the list. 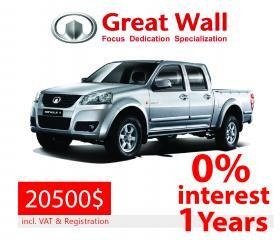 Over the years GWM has always adhered to steady development, managed to maintain rapid growth. and obtained the outstanding bank credit lines. The Interim Results Announcement issued by GWM in August shows that first-half business revenue of 18.288 billion Yuan with a year-on-year increase of 28.79%,the net profit of 2.354 billion Yuan attributable to the shareholders of the listed company with a year-on-year increase of 29.91% as well as earnings per share 0.77 RMB with a year-on-year increase of 16.67% have been realized. By June 30, 2012, GWM’s total assets had reached 36.926 billion Yuan, up 11.44% on year-on-year basis. Aside from ranking on Forbes' “Asia-Pacific Region Top 50 Best Listed Company”, GWM also made its debut on the list of “China’s Top 100 Listed Companies, 2011”. This was a listing presented by the Warton Economic Institute and China Business Time. 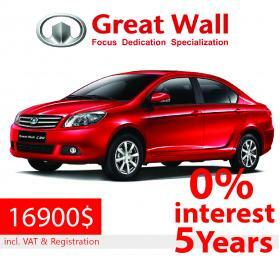 Here, GWM ranked 69th, with a total profit of 4.131 billion Yuan. In the 2012 “Investment Value and Evaluation Report of Chinese Automakers”, released by China Automobile Industry Economic Research Institute, GWM ranked the top in the “List of Automaker Investment Potential”, and the 4th in the “List of Automaker Investment Value” respectively.